What happens when the richest men and businesses in the world purchase entire cities? The 25,000 acres of land is roughly 45 minutes away from Phoenix, Arizona and will now be known as Belmont, named after Gates’ partners in the purchase, Belmont Partners, a real estate investment group based in Arizona. Bill invested in the land through Mt. Lemmon Holdings which is controlled by Cascade Investment LLC and has the same tax address as The Bill and Melinda Gates Foundation as announced by the Arizona Republic. The currently desolate 25,000 acres will eventually hold 80,000 homes, 3,800 acres of industrial, office and retail space, 3,400 acres of open space and 470 acres for public schools, according to Arizona-based Belmont Partners. A similar project is currently underway by Google, called Quayside, due north in Toronto, Canada. Alphabet’s objective for Quayside is to develop a complete urban community from the ground up. Historically, when one Tech Giant announces the development of a new product another is chasing tail; attempting to create a competing product. However, cities are not products, people are not bits of data, yet Tech Giants such as Google and Microsoft believe they can solve the problems of the town through invasive technology and surveillance. But, government, is not an engineering problem, so where could this possibly lead? Both Quayside and Belmont, with their respective populations, are ground zero for testing new technology, as admitted by the corporations involved in development. Quayside plans to expand outwards. While Gates has yet to release the official plan for construction, it’s a safe bet that this is the start of the infamous Smart Cities of the future. Take a second and think about the last time your computer crashed, and now imagine that was the infrastructure of a block in a smart city. Or take for example how Equifax, one of the largest credit Bureaus, that was just recently hacked, now imagine if that was an autonomous vehicle. Development for both Quayside and Belmont are years away. However, Microsoft is not done yet. Rather, Microsoft billionaire Paul Allen through his corporation Vulcan Inc. donated $10 million for the development of yet another city, Columbus, Ohio. In addition, the U.S. Department of Transportation contributed $40 million to the project. Under the Obama Administration, the US Department of Transportation, created a challenge for mid-sized cities across America to develop ideas for an integrated, first-of-its-kind smart transportation system that would use data, applications, and technology to help people and goods move more quickly, cheaply, and efficiently. In direct accordance with Agenda 2030, specifically Goal #9, the plan is to recreate our cities into metropolises, organized and operated by technology. Two years after the acceptance of Agenda 2030, development in several US cities is well underway, with one goal in mind, number nine. In 2014, investments in research and development stood at 1.7 per cent of global GDP, up from 1.5 per cent in 2000. Worldwide, there were 1,098 researchers per million inhabitants in 2014, ranging from 63 in the least developed countries to 3,500 in Europe and Northern America. -ODA for economic infrastructure in developing countries reached $57 billion in 2015, an increase of 32 per cent in real terms since 2010. The main recipient sectors were transport and energy ($19 billion each). With Google constructing the first ever ‘Urban Human Lab,’ Bill Gates following suit, and the United Nations leading the charge it’s not an understatement to say that these organizations wish to treat humanity as an engineering problem. In fact, both Google and Microsoft have already displayed their interest in engineering humanity and the world with the distribution of vaccines and mosquitoes. Google, or Alphabet, released 20 million bacteria-infected mosquitoes into two California neighborhoods with the goal of quelling mosquito populations. The Microsoft foundation has for decades contributed millions to the distribution of birth control and vaccines across the globe. Disregarding what the Mainstream media drums up as beneficial to humanity, a glance under the surface at what the two corporations have done, and suddenly doors that open by the ‘swipe of a hand’ aren’t exactly so convenient. India’s National Technical Advisory Group on Immunization (NTAGI) announced recently that it is officially cutting ties with the Bill & Melinda Gates Foundation. This announcement comes after it was shown that so-called vaccine “campaigns” conducted on tens of thousands of young girls throughout India back in 2009-2010 that were meant to help protect them from cervical cancer were actually cloaked vaccine trials involving two highly controversial vaccines known to injure and kill. The vaccines in question are Cervarix by GlaxoSmithKline (GSK) and Gardasil by Merck & Co., both of which are marketed as protecting against the human papillomavirus (HPV), which is claimed to have a link to cervical cancer. Both vaccines come with extreme side effects, and evidence shows that GSK and Merck essentially teamed up with the Gates Foundation to take advantage of young Indian girls and use them as human guinea pigs in trials of the two vaccines. One of the first questions that comes to mind is, what happens if one of the GM mosquitoes bites you? Will their GM DNA be injected into your arm or leg? Oxitec has counteracted this objection by stating they only plan to release male mosquitoes, which don’t bite. It’s unclear on what research they are basing this assumption. The AP reported that Oxitec has released 70 million GM mosquitoes thus far, with no reports of “human impacts caused by bites or from the synthetic DNA.”8 What the heck does that mean? Who would even know to report or where? Also, the mosquitoes haven’t been around long enough to assume there will be no impacts. There are several glaring problems with assuming these GM bugs are safe for the human population. 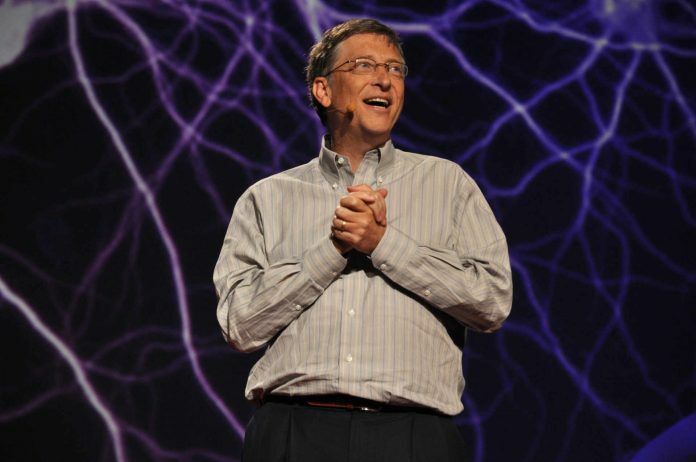 Interestingly enough, in addition to Google’s plan to release engineered mosquitoes, Bill Gates had his hands directly into the company behind the genetically modified mosquitoes released in South America, Oxitech. With that in mind, it is prevalent that the two aforementioned corporations are attempting to use engineering to quell ‘the problems’ of our time. However, thanks to history, when humans are treated like an engineering problem, millions die as a result. The Smart City of the future, according to the Global Goals, will utilize Big Data, to analyze humanity and exploit human psychology for the respective corporations benefit. US Gov. “Smart City Challenge.” Department of Transportation. . (NA): . .
Katie Jackson. “Columbus under construction to become America's first 'smart city'.” Fox News. . (2017): . .
Bianca Buono. “Bill Gates buys big chunk of land in Arizona to build 'smart city'.” King 5. . (2017): . .
Annalise Lullo. “Gates Eyes I-11, Invests $80M in Belmont.” AZBex. . (2017): . .
Dr. Mercola. “Millions of Genetically Modified Mosquitoes Could Be Released in Florida.” Mercola. . (NA): . .
Kevin Loria. “20 million bacteria-infected mosquitoes are getting released into a California city by a division of Google's parent company.” Business Insider. . (2017): . .
Ethan Huff. “India tosses out Gates Foundation due to conflicts of interest with Big Pharma.” Natural News. . (2017): . .
“a complete urban community,” does that come with black thugs? Is Bill Gates building the gateway cities to Hell? If you would like to contract polio; just take the polio vaccine! Vaccines are deadly and evil!